[S1014] Source: Email from Lucille Brown (e-mail address) dated 5 January 03. [S760] Sounce: E-mail from Cindy Davenport (e-mail address). He married Cecilia Elizabeth Tabb at Albany, Dougherty County, Georgia.1 Roger died at Albany, Dougherty County, Georgia.2 Roger was born. Robert was born at Ballinger, Runnels County, Texas, on 10 July 1944.1 He died on 16 November 2009 at age 65; A graveside service for Robert "Bob" Stewart Tabb, 65, of Tyler, will be held on Thursday, Nov. 19, 2009, at 1 p.m. at Rose Hill Mausoleum with the Rev. James Shepherd officiating under the direction of Stewart Family Funeral Home. Bob went to be with his Lord on Monday, Nov. 16, 2009, with his family by his side. He was born July 10, 1944, in Ballinger to the late Thaddius and Margaret Tabb. Mr. Tabb served in Vietnam on the USS St. Claire County in 1968 and 1969. Upon his return from Vietnam, he married Gretta Ellerd of Tyler on Feb. 22, 1969. 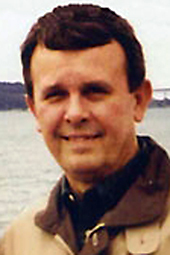 He graduated from North Texas State University in 1971 with a BBA. Bob was employed by the Trane Co. for 27 years. As a manufacturing manager, he traveled to many countries before he retired in 2003. Bob was a member of Green Acres Baptist Church. He was a devoted husband to his wife and father to his sons. He was a devoted family man who spent many hours with his sons fishing, hunting and attending all of their sporting events. Bob is survived by his loving family including his wife, Gretta Ellerd Tabb of Tyler; sons, Scott Tabb of Austin and Casey Tabb of Tyler. He is also survived by his sister, Grace Urbantke and husband Troy of Tyler, and several nieces and nephews. Visitation is scheduled from 6 to 8 p.m. Wednesday, Nov. 18, 2009, at Stewart Family Funeral Home, 7525 Old Jacksonville Highway, Tyler, 75703. Memorials in honor of Robert "Bob" Stewart Tabb made be made to Hospice of East Texas Foundation, 4111 University Blvd., Tyler, 75701. Published in the Tyler Morning Telegraph on 11/18/2009. He was buried on 19 November 2009 at Rose Hill Mausoleum, Tyler, Smith County, Texas. [S761] Source: Heather J. P. Ziemer, 115 Enes Avenue, Bay Point, CA 94565. E-Mail: e-mail address. Stephen was born. He married Elizabeth Dean Van Ness. [S762] Source: Thomas E. Van Ness, 3117 Paradise Acres, Hoover, AL 35244-4020, 205-733-8144 (e-mail address). [S763] Source: E-mail from Randall Henderson (e-mail address) dated 22 July 00. [S902] Source: 1880 Census for Georgia, Damascus, Eary County, Georgia, page 203 C.
[S767] Source: Bryan Glenn Davis (e-mail address) in an email dated 07 July 04. [S851] Source: E-mail from Angela Knighton (e-mail address) dated 24 October 2001. [S885] Source: Norine McClure (e-mail address) via e-mail dated 8 Jan 2001. 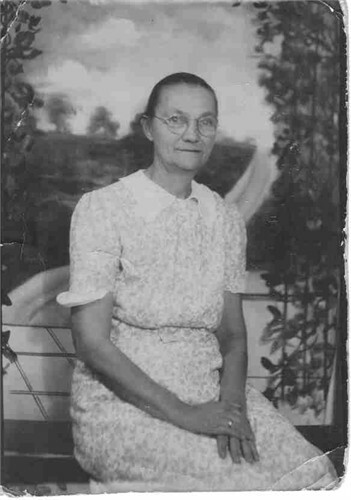 Owayne was born at Blair, Oklahoma, on 17 March 1921.2 She married John Young McLeod on 5 July 1946.2 Owayne Geraldine Tabb died on 23 April 2011 at age 90. She was buried on 25 April 2011 at Altus Cemetery, Altus, Jackson County, Oklahoma. [S978] Source: Across the Lonely Years, The Story of Jackson County by Cecil R. Hhesser, Altus, Oklahoma, Published 1971 by Altus Printing Company, Altus, Oklahoma, page 257. [S766] Source: E-mail from Jolene McLeod dated 6 August 2000 (e-mail address). John was born on 17 December 1918. 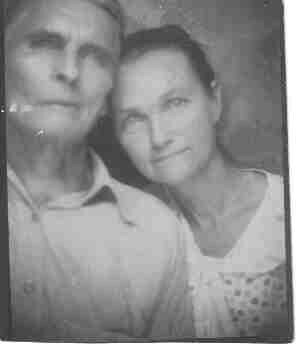 He married Owayne Geraldine Tabb on 5 July 1946.2 John Young McLeod died on 29 November 2002 at age 83. He was buried after 29 November 2002 at Altus Cemetery, Altus, Jackson County, Oklahoma. [S768] Source: E-mail from Jolene McLeod dated 26 August 2000 (e-mail address).